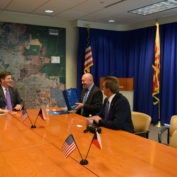 The City of Phoenix and City of Prague established a Capital Cities relationship in May 1991. 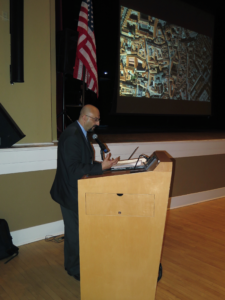 Over the ensuing years, changes in each city’s administration resulted in a reduced emphasis on the importance of the relationship to the point where exchanges and activities were put on hold. However, both cities have recently experienced changes in both administrations and decided that the relationship should be reactivated, but elevated to full sister cities status. 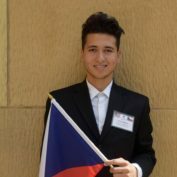 As of April 2013, Prague officially became a full Sister City. One of the jewels of Europe, Prague is renowned for its beauty and rich culture. 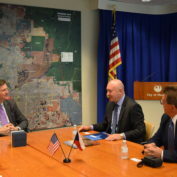 Furthermore, the Czech Republic is a strategic economic center in the heart of Central and Eastern Europe, and provides great opportunity for Arizona’s trade and business community. Numerous Phoenix-based companies already have a strong presence in Prague as well, such as Honeywell and On-Semiconductor. More than 1.4 million people live in the city of Prague (Praha in Czech), the political, administrative, financial and commercial heart of the Czech Republic. Situated along the Moldau (Vltava) river, Prague is also an industrial city, producing goods ranging from machinery, rolling stock, chemicals, textiles, furniture, food, and beer. The city is served by rail, highways and the Elbe-Moldau waterway, and it has an international airport. 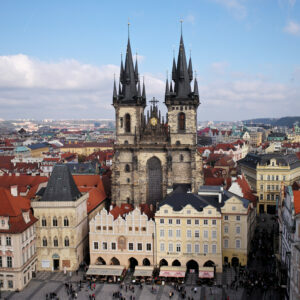 Prague has an extensive and inexpensive public transportation system provided by buses, trams and subway, which is an envy of many American cities, including Phoenix. Learn about Prague on Wikipedia. See an interactive map of Prague. 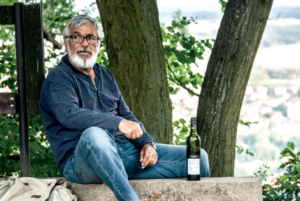 View City of Prague website. Visit Prague City Archives website. Saturday, April 29, 2017, 1:30 p.m.
Jan, almost 60, is a successful veterinary doctor, however he feels he’s losing a grip on his life while being controlled by his wife Olga. The last drop for Jan’s decision to leave his wife is the suicide of his father-in-law who faced the same issues. Jan doesn’t want to end up on the same route, he longs for control of his own life again. His solution is an escape from the present life, even though he might need to go to a nuthouse. Saturday, May 6, 2017, 1:30 p.m.
Saturday, May 13, 2017, 1:30 p.m.
A film based on a book by Jaroslav Kmenta tells the story of a mafioso who got rich by tax fraud of billions of crowns in transactions with petroleum products and who later tried to gain control of the state-owned petroleum concern. The main character is the gangster Radim Kraviec (Hynek Čermák). He was always capable of violence, but when his father is abducted and killed by a competing mafia, he is changed into a murdering monster. 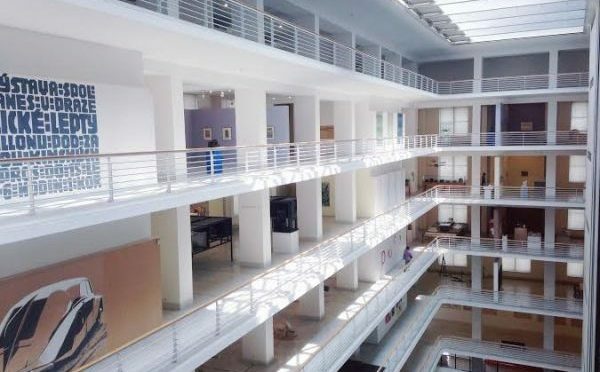 Since arrival of the new teacher, Maria Drazdechova, to a Bratislava suburban school in 1983, life has turned upside down for students and parents. Following a suicide attempt of one of the students, likely related to the teacher’s corrupted behaviour, the school‘s principal calls for an urgent parent meeting that will suddenly put the future of all the families at stake. The teacher’s high connections within the Communist Party makes everyone feel threatened. However, at this point, parents have to make a choice: will they dare to go against the corrupt system and stand up for what they believe in, or will they just remain silent and let things go by? 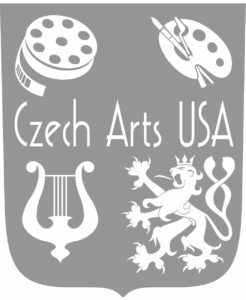 The Phoenix Sister Cities Prague Committee is an active focal point for promoting Czech culture in Phoenix, including the annual Evening in Prague and the Czech That Film festival. 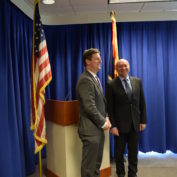 The committee also promotes reciprocal business opportunities, economic development forums, professional exchanges and the Phoenix Sister Cities Youth Ambassador Exchange Program. Volunteers work to foster the mission of Phoenix Sister Cities and the growth of Phoenix as an international city. 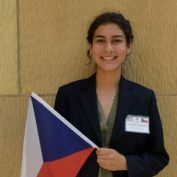 The Prague Committee meets monthly and welcomes new members. The committee meets the fourth Wednesday of the month in the Conference Room of MRT Design LLC., located at 340 E. Palm Lane #304, Phoenix, AZ 85004, Please confirm meeting dates, times and locations one week prior to scheduled time. 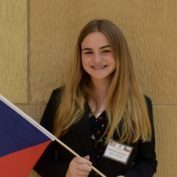 Meet the 2018 Youth Ambassadors to Prague, Czech Republic! 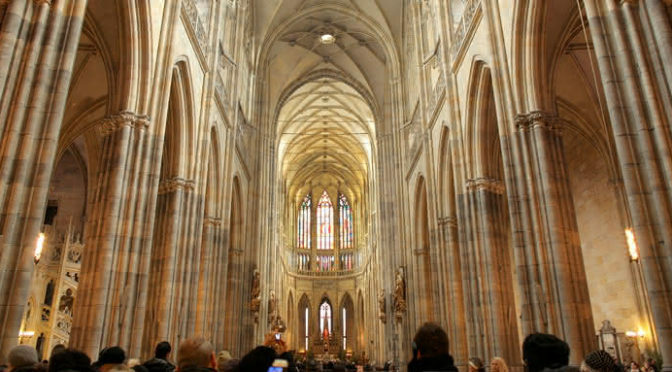 St. Vitus CathedralBuilt over a time span of almost 600 years, St Vitus is one of the most richly endowed cathedrals in central Europe. 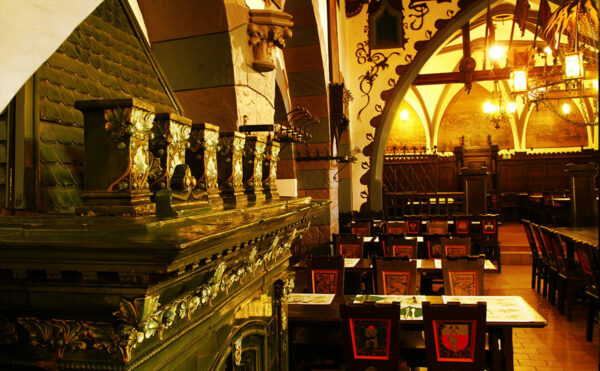 It is pivotal to the religious and cultural life of the Czech Republic, housing treasures that range from the 14th-century mosaic of the Last Judgement and the tombs of St Wenceslas and Charles IV, to the baroque silver tomb of St John of Nepomuck, the ornate Chapel of St Wenceslas, and art nouveau stained glass by Alfons Mucha. Charles BridgeStrolling across Charles Bridge is everybody’s favourite Prague activity. However, by 9am it’s a 500m-long fairground, with an army of tourists squeezing through a gauntlet of hawkers and buskers beneath the impassive gaze of the baroque statues that line the parapets. If you want to experience the bridge at its most atmospheric, try to visit it at dawn. Prague CastleLooming above the Vltava's left bank, its serried ranks of spires, towers and palaces dominate the city centre like a fairy-tale fortress. 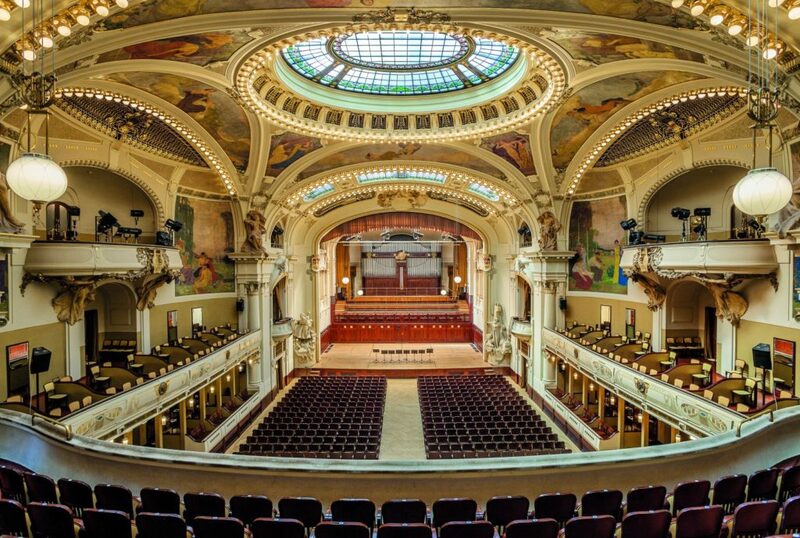 Within its walls lies a varied and fascinating collection of historic buildings, museums and galleries that are home to some of the Czech Republic's greatest artistic and cultural treasures. Municipal HouseRestored in the 1990s after decades of neglect, Prague’s most exuberantly art-nouveau building is a labour of love, every detail of its design and decoration carefully considered, every painting and sculpture loaded with symbolism. 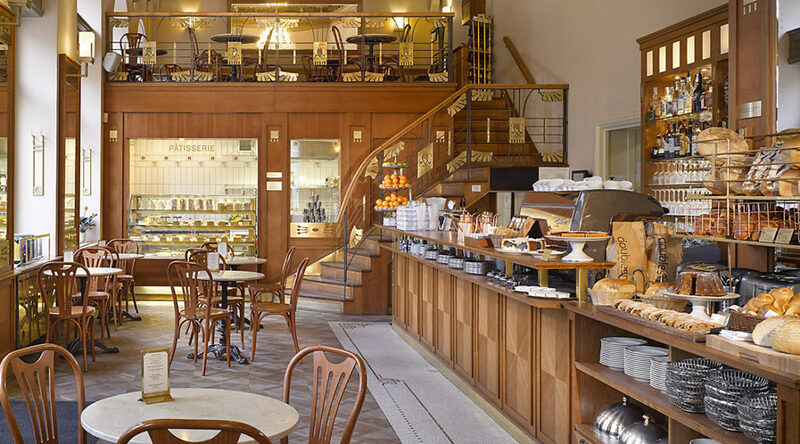 The restaurant and cafe here are like walk-in museums of art-nouveau design, while upstairs there are half a dozen sumptuously decorated halls that you can visit by guided tour. Church of Our Lady Before TýnIts distinctive twin Gothic spires make the Týn Church an unmistakable Old Town landmark. 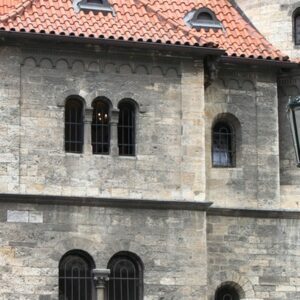 Like something out of a 15th-century – and probably slightly cruel – fairy tale, they loom over Old Town Square, decorated with a golden image of the Virgin Mary made in the 1620s from the melted-down Hussite chalice that previously adorned the church. 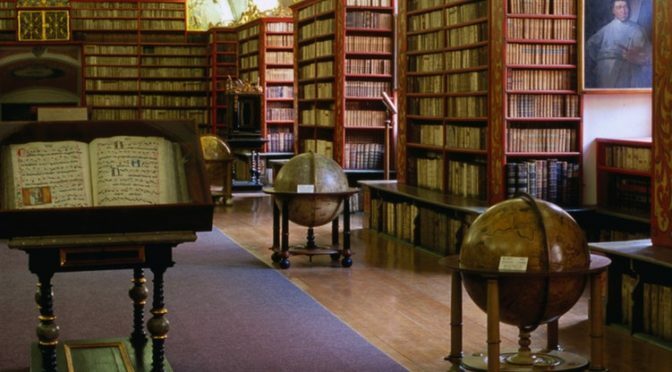 Strahov LibraryStrahov Library is the largest monastic library in the country, with two magnificent baroque halls dating from the 17th and 18th centuries. You can peek through the doors but, sadly, you can’t go into the halls themselves – it was found that fluctuations in humidity caused by visitors’ breath was endangering the frescoes. There's also a display of historical curiosities. 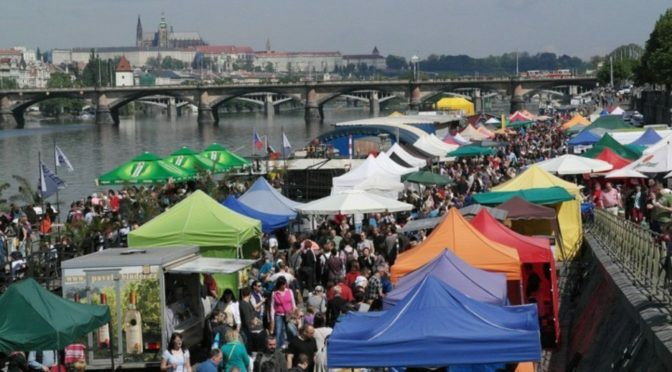 Náplavka Farmers MarketThis weekly market makes the most of its riverside setting with live music and outdoor tables scattered among stalls selling freshly baked bread and organic locally grown vegetables. The National GalleryThe National Gallery's collection of 'Art of the 19th, 20th and 21st Centuries' is spread over four floors and has an unexpectedly rich collection of world masters, including works from Van Gogh, Picasso, Schiele, Klimt and on and on. Prague Jewish Musuem (Židovské Muzeum)This museum consists of six Jewish monuments clustered together in Josefov: the Maisel Synagogue; the Pinkas Synagogue; the Spanish Synagogue; the Klaus Synagogue; the Ceremonial Hall; and the Old Jewish Cemetery. There is also the Old-New Synagogue, which is still used for religious services, and requires a separate ticket or additional fee. 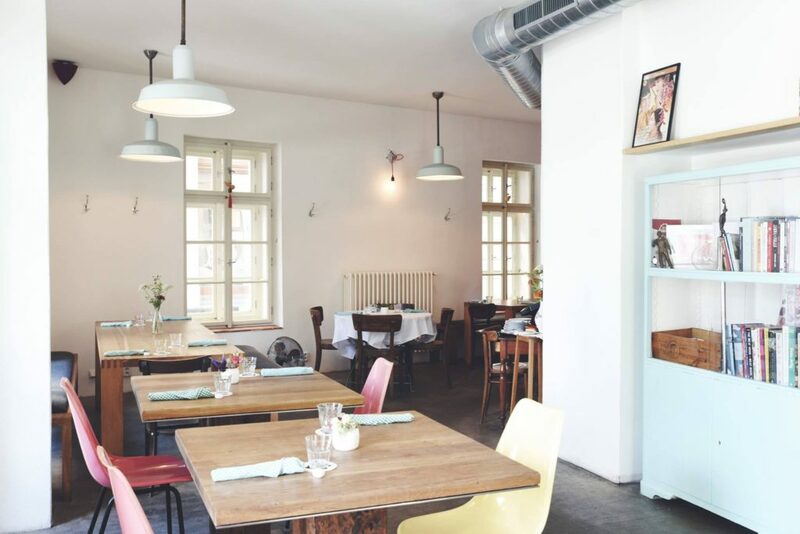 Sansho RestaurantFriendly and informal' best describes the atmosphere at this groundbreaking restaurant where British chef Paul Day champions Czech farmers by sourcing all his meat and vegetables locally. There's no menu as such – the waiter will explain what dishes are available, depending on market produce. 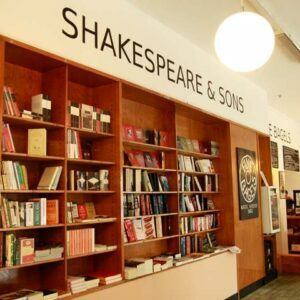 Shakespeare & Sons BookstoreThough its shelves groan with a formidable range of literature in English, French and German, this is more than just a bookshop (with Prague's best range of titles on East European history) – it's a congenial literary hang-out with knowledgeable staff, occasional author events, and a cool downstairs space for sitting and reading. 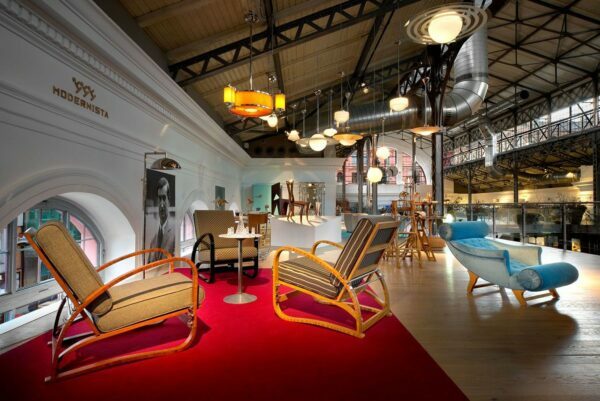 ModernistaModernista specialises in reproduction 20th-century furniture, ceramics, glassware and jewellery in classic styles ranging from art-deco and cubist to functionalist and Bauhaus. 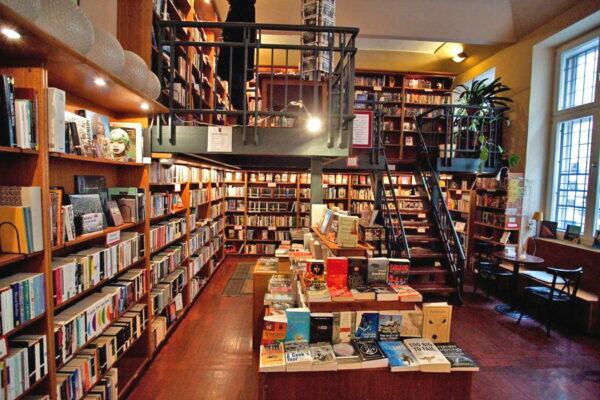 Globe Bookstore & CaféA popular hang-out for book-loving expats, the Globe is a cosy English-language bookshop with an excellent cafe-bar in which to peruse your purchases. There’s a good range of new fiction and nonfiction, a big selection of secondhand books, and newspapers and magazines in English, French, Spanish, Italian, German and Russian. Plus art exhibitions and film screenings. 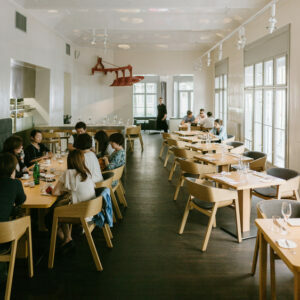 FIELD RestaurantPrague's third Michelin-starred restaurant is its least formal and most fun. The decor is an amusing art-meets-agriculture blend of farmyard implements and minimalist chic, while the chef creates painterly presentations from the finest of local produce along with freshly foraged herbs and edible flowers. You'll have to book at least a couple of weeks in advance to have a chance of a table. U Fleků Brewery & RestaurantA festive warren of drinking and dining rooms, U Fleků is a Prague institution, although it's usually clogged with tour groups high on oompah music and the tavern’s home-brewed, 13-degree black beer, known as Flek. 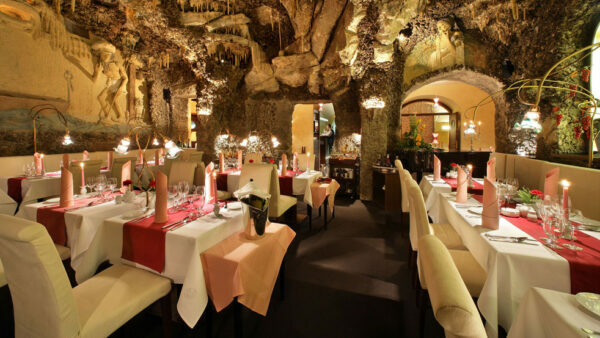 TRITON RestaurantA chic restaurant in a quirky art nouveau dining room with a menu of international & Czech dishes.